Typically when I review products, they’re items that were sent to me expressly for the purpose of featuring on my blog (of course I let companies know that I’ll offer an honest review, and if I don’t like something about a product, I’ll include that in my review). But other times, I just love a product I’ve purchased so much that I want to tell everyone about it. And that’s the case with Complement Plus. If you’ve been reading my blog for awhile, you might know that I’m a No Meat Athlete fangirl. I’ve listened to all the back episodes of the podcast, cooked plenty of dishes from both NMA cookbooks, and I’m a member of the No Meat Athlete Tribe/Pulse Community (meaning I donate a small amount each month to support the work of the NMA team). Matt Frazier, the founder of No Meat Athlete, also serves as the Chief Outreach Officer for Alpine Organics, a new-ish supplement company that makes products designed for vegans. I learned about Complement on his podcast and subscribed right away last year! At the time, the original Complement was a D3, B12, and EPA/DPA supplement available in spray form (and it still is!). 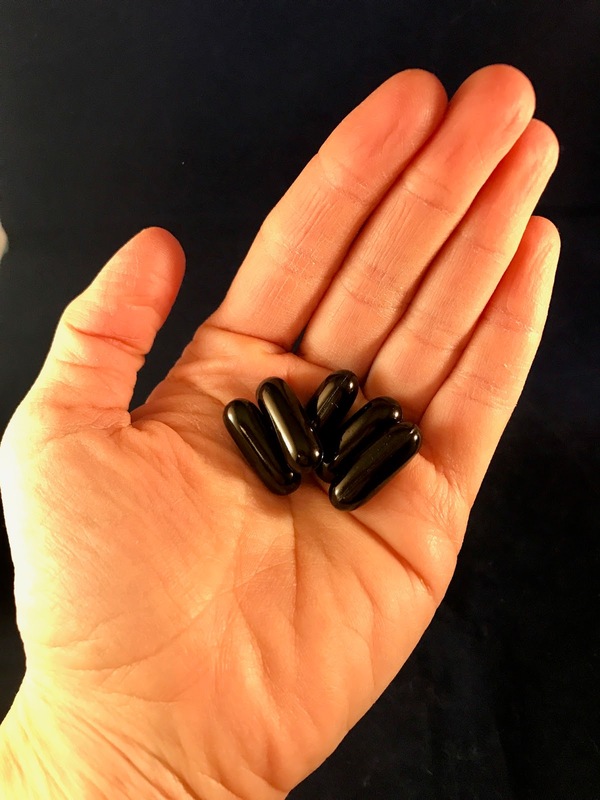 But just this month, they’ve released another product called Complement Plus – a capsule that contains B12, D3, EPA/DHA, Iodine, K2, Magnesium, Selenium, and Zinc. According to Alpine Organics, which relies on medical advice of Dr. Joel Kahn, B12, D3, and EPA/DHA are the three essential nutrients missing from a plant-based diet. So those are covered here. Plus, you get Iodine and Zinc (two important minerals not abundantly found in plant-based foods), K2 (which can only be found in natto, and who eats that everyday? ), Selenium, and Magnesium. Before I started taking Complement Plus this month, I was taking the Complement spray for my essentials, taking a magnesium capsule to help me sleep and prevent headaches, and eating a daily brazil nut for selenium. And now I can get everything in three handy pills every morning! Complement Plus is offered by subscription. A two-month supply is $70, which is about what I was spending on vitamins from the store anyway. If you’re interested, check it out! Previous articleOs médicos ficam chocados: esta ferramenta melhora a estrutura do tecido ósseo e repara as articulações!